Reduce fat intake? On a low carb or ketogenic diet? Amy, have you done lost yo' mind? You know people use the abbreviation “LCHF,” right? And that means low carb high fat, right? I’ve heard from many, many people who are struggling to lose body fat on a low carb or ketogenic diet. And while there are many possible reasons for this, the simplest, most obvious, and most common one is, they’re eating too darn much fat. What is this madness you speak of? Nuts and cheese. These are the two most notorious culprits standing in the way of fat loss. To be clear: Nuts and cheese are totally acceptable on low carb and ketogenic diets. It’s not that they’re “not keto.” The issue is that they are very delicious and very easy to overeat. Many of us suffer from “hand to mouth syndrome” when it comes to nuts. You’re on the couch or in your work cubicle, you’ve got the bag within arm’s reach, and before you know it, you’ve blown through half the bag and about 1000 calories with what was supposed to be a snack. Same with cheese. Maybe one string cheese is no problem, but if you sit down with a block of aged gouda or sharp cheddar and a knife, it’s game over. The problem isn’t these foods, per se; it’s that most of us overdo them. If you can control your portions, have at ‘em. Fat bombs. Again, nothing wrong with these if you’re at your ideal weight. But if you’ve been eating these tasty morsels of extremely high fat and you’re frustrated because your body fat isn’t budging, well, I’ll leave you to connect the dots here. · Hot sauce – just read labels; you’d be surprised what they sneak sugar and corn syrup into. Our beloved Sriracha has sugar in it, but if you’re using small amounts, this is fine. · Herbs & spices – garlic, basil, oregano, sage, thyme, dill, curry powder, cumin, cayenne, turmeric, cinnamon, parsley, cilantro, etc. – they’re all fine! · Canned tomatoes – read labels; many have only 3-5g of carbs per fairly generous ½ cup serving, and there are several varieties available, all of which lend a ton of flavor. (Plain, Italian herb, fire-roasted, green chilies, etc.) Don’t bother with any reduced sodium varieties. You want the sodium on a low carb diet. Canned tomatoes are great for both sodium and potassium. 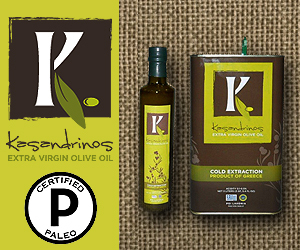 · Low-fat salad dressings – Heresy, I know! When you have a few minutes to spare in the supermarket, read labels on some low-fat or “lite” dressings. You might be surprised at what you find. I was. Not all low-fat items are loaded with sugar. I found several that have 1-2 grams of carbs more than their full-fat counterparts, but this small increase in carbohydrate was more than offset by a dramatic reduction in fat. Maybe they don’t all have the greatest quality ingredients (e.g., soybean oil), but only you can decide what’s right for you. Water down your dressing. If you absolutely cannot stomach the thought of buying anything with a low fat or “lite” label and you must, must have your favorite blue cheese, ranch, caesar or other high-fat dressing, consider thinning it a little with water and vinegar. (Use plain white distilled, apple cider, or champagne vinegar, depending on the dressing.) This changes the texture a little, yes, but you do want to lose body fat, right? Enjoy your food without added fat. Just because you can add butter, sour cream, mayo, olive oil, and cheese to your food doesn’t mean you have to. I know I sound like a broken record here, but if you’re using this way of eating to lose body fat, then you don’t need to add heaps of extra fat in order to keep your diet at a certain “ketogenic ratio.” In fact, doing this might be directly contradictory to your goal. If your steak is already fatty, it doesn’t need butter melted on top of it. And seriously, don’t underestimate the power of salt & pepper. They really, truly do make things taste better, even without any added fat. EAT ENOUGH PROTEIN. The #1 biggest pitfall I see people getting into on low carb and ketogenic diets for fat loss is that they eat higher fat at the expense of inadequate protein. DO NOT DO THIS. If you are trying to lose body fat, protein is your friend. Like, your best friend. Don’t be afraid of gluconeogenesis. It is not true that too much protein “turns into sugar.” This is a total misunderstanding and bastardization of the biochemical mechanism at work there, and I wrote a very long post (as usual) about it here. How much protein should you be eating? Probably more than you are. I’m gonna borrow from Dr. Ted Naiman again, because he is that good at explaining things simply and clearly. What diet plan has the very highest protein and lowest carbs of all? If you’re aiming for fat loss, think higher protein, lower carb, and lower fat. Not only is this a post-bariatric surgery diet intended to help people lose fat and keep it off, but it’s also an approximation of the diet bodybuilders use to lean out. You’ve already mastered the low carb part. Now, to get the stubborn body fat moving, cut back a bit on fat. This doesn’t mean you’ll be living on grilled tilapia and steamed broccoli, or skinless chicken breast over lettuce. I don’t mean for this post to make anyone afraid of eating fat. Fat is delicious and yummy and good for us. What I’m trying to say is, when you’re looking for fat loss, the percentage of calories you’re getting from fat will be high, but only some of that will come from dietary fat. The rest of it will come from your own body’s stored fat. You will be able to increase the amount of dietary fat you consume as you get closer to your goal weight and there is less stored fat for your body to draw upon. And when you get to the point where you are trying to maintain weight (not lose any more), you might be able to eat even more. Even during active fat loss, though, you do need some fat in your diet, for optimal nutrient absorption, keeping your gallbladder up and running, and for mental health. You will go stark raving mad and your hormones will get wacky if you go too low fat for too long (no, really, you will), but there’s a difference between avoiding every speck of fat & oil in preparation for a physique competition and simply cutting back a bit because you’re stalled on a low carb diet. To get stubborn body fat moving, think low carb higher protein. I know you’re all semi-terrified of “too much protein,” but don’t be. Seriously, don’t be. It’s okay to have skinless chicken or lean pork, and add a little olive oil (or avocado or toasted sesame oil if you like those). It’s okay to eat low fat cottage cheese, or tuna or sardines canned in water. You’ll still be getting plenty of fat; the difference is, it’ll be coming from your body instead of your fork. This is a good one, from Tom Naughton, who created the fabulous movie Fat Head. This makes a lot of sense! But for those doing keto, we concentrate on the macro percentages. What percentage would you suggest? Actually, for the specific purpose of fat loss, I don't suggest ratios at all. That's kind of the problem here. People add a lot of extra fat in order to reach their percentage, but that sometimes works against them in the context of fat loss. If you're happy with your results, then don't worry. Wow... what a good argument for limiting fat on a LCHF diet. Very informative however, your suggestion to increase protein confuses me though. It's my understanding that protein causes an insulin spike that I really am trying to avoid being insulin resistant. Did I get something wrong? I've been trying to do Keto for a while now, I need to lose weight and while I initially lost about 7 pounds the first week, I've struggled ever since. This very thing popped into my head this morning - why would I "eat" so much fat, if I'm trying to get rid of the fat I already have - won't that slow down my own loss of body fat if I keep eating so much fat? Low and behold I found your article this morning and this makes perfect sense to me! Thank you so much for helping me make sense of this! Glad I could help! Some people actually do get good results going high fat and moderating protein, but I see more people who *don’t* do so well that way, and it’s kind of a shame that people have become so afraid of consuming a little more protein that they end up loading up on extra fat instead. KetoGains calculator recommends a calorie amount under my BMR, even at just a 15% deficit. I don't want to fall into the low calorie mindset that I had figure training when I lost my period, binged after competitions, yo-yoed etc. *Shrug. * Sorry...I'm not an expert in what they do. They offer private coaching if you'd like help or clarification from them. I follow keto and I threw my macros out the window. Best thing I ever did. I have found that worry about macros caused me to overeat in an effort to "meet" them...this is crazy..I was eating when I wasn't hungry, and that is what got me into needing keto to begin with! I count only whole carbs, and I carefully monitor my added dietary fat. The rest takes care of itself, and I am happily burning off the junk in my trunk. We use a calculator that gives a minimum and maximum fat range. Even at the max range it should give a 20% calorie deficit. But obviously eating at the lower range results in faster burning of your own body fat. We advise people to get the minimum amount of fat. And eat up to the maximum as dictated by hunger. This usually results in being high in the fat range to start, and much lower as their hunger decreases. In our groups we use a macro calculator that gives both a minimum and maximum fat range. The maximum puts you at a 20% calorie deficit so body fat should still come off. We advise people to eat as close to the minimum as they can in order to burn more of their own body fat. This typically results in people eating towards the maximum as they start and then moving towards the minimum as their hunger decreases. Thanks for this article. My downfalls are coconut butter-that spoon thing you mention with mayo! And bacon and dark chocolate. One other thought. Even when I was having thyroid issues, the biggest factor came down to calories in versus calories burned. When I crammed less down the old pie hole, there was less of me to go around. It might take me longer to lose than someone who wasn't hypothyroid, but it could be done. Oh yes, thyroid can be, er, interesting! Having been relentlessly normal (TSH around 1) for over 60 years the damn thing suddenly blew up and I went hypERthyroid. Strangely not much weight change, except for all the fluid I collected around my gut and ankles, I assume because it jacked up my appetite to match. After being in control for about a year, it suddenly shut down. Stopped the carbimazole, which in retrospect was a mistake, I should just have reduced the dose, and it equally suddenly ran away. This time I DID lose weight, to the extent my doctor noticed. Kept it back under control by tinkering with my carbimazole dosage, then after nearly another year it suddenly ran away again and it needed more than double the dose for a while, before dropping low again. This time I not only collected more fluid (probably from the hyper)I also gained actual fat weight, probably from the hypo. I suspect this was because my energy level went through the floor but my appetite didn't: mostly I eat low carb/keto with one main meal a day (sometimes two smaller ones) dictated by when I get hungry, and mostly run off stored energy from the previous day except for a snack-sized breakfast and occasionally other snacks, and now it's back on the rails again most of the collected fluid has gone down the toilet just leaving a layer of fat all around my gut which looks like it will require manual intervention to remove. Yes I'm also a fan of Ted (and Tom, and you of course) so I think my best course of action will be to up the protein for a while and back off the dietary fat until the body fat has been eaten . . .but carefully. Look forward to your thyroid material, your analytical approach will hopefully be another epic like your insulin and other post series. How is not having a gall bladder affected by this info? Nice article, Amy! Thanks! The link to Tom Naughton's "This is a good one" appears to be a bad one..?! Looks like it's a problem with his website. I'm not able to get to any of his pages at the moment. I wonder if it's down for maintenance or if there's a server issue for him. Thanks for letting me know, though. But that is the correct link. Hopefully his site will be up and running again soon. But what about protein triggering gluconeogenesis? Just learning and reading up. So, if this is the approach: Limit carbs to 20 net grams, eat protein to match macros, eat fat for satiety, do you worry about not getting enough calories? 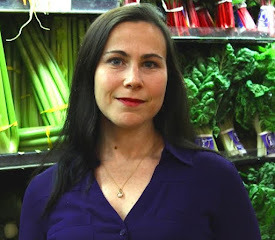 Amy, do you think there is a minimum of dietary fat that you should eat when you need to lose weight to keep your body functioning? Yes, there is. Hard to say exactly how much, but yes, you do need some fat. There is something called a protein-sparing modified fast (PSMF), which is extremely low in fat, low in carbs, and high-ish in protein. Total calories are fairly low. It is a quick, SHORT-TERM fat loss strategy. NOT to be done long term because of the severe restriction on fat. So how do I get that comfortably full feeling? If I'm reducing fat and carbs, what else is there to eat to be able to get to a comfortable satiety? More protein? Beef, pork, seafood, eggs, bison, poultry, broccoli, spinach, cucumbers, radishes, lettuce, eggplant, zucchini, jicama, bell peppers, fennel, mushrooms, cauliflower, onions, carrots. Unless you're actually doing a "zero carb" (carnivore diet), there's plenty of room on a low carb diet for non-starchy vegetables. And I tried to emphasize that I did not mean to make anyone afraid of fat. Don't eliminate fat altogether. Just go a little easier if you happen to be having a difficult time with fat loss. If not, then no worries. Carry on as normal. Google for diet doctor recipes. Loads and loads there. Keep it simple. Steak & eggs! Amy, this is my first time to the re-designed website. I find it MUCH harder to read with the colored background. There's just no enough contrast. It's really hard for these eyes to read. Thanks for your input, Michael. I assure you, this is NOT The website redesign. As I mentioned in more than one post, the redesign has run into some snags and it is on hold for a while. I have ZERO SKILLS whatsoever when it comes to web design and graphic layout, so please pardon the growing pains. If you know of someone who can help me for a reasonable price, I'm all ears! Send them my way! Thank you. Amy, thank you for your important articles. I had a 70+ pound loss, then inadvertent weight re-gain 8-10 pounds. Through a combo of IF (17:7) AND bringing my fat grams close to my protein grams I stayed LCHF/Keto. I dropped the 8-10 pounds, brining a total of 72 maintenance pounds over 5.5 years back into play! I was previously overweight ages 6-46. So this was not a small feat. Best news: my health insurance weigh in is in 1-2 months and this is the 7th year of being weighted measured and not charged. Plus no T2D dx. Came close. Amy,once again, you are my hero! I've been championing this idea for months after stalling, having lost 50 lbs on LC, then realized what was happening. 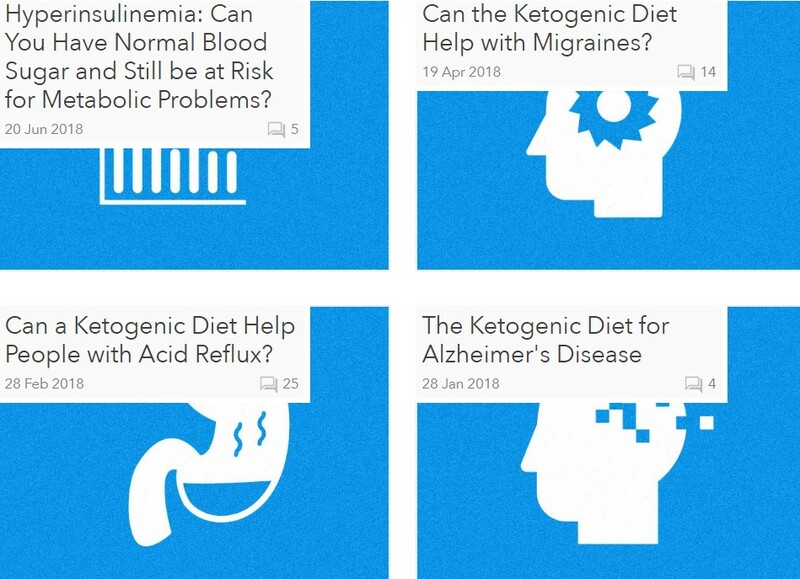 I spend a lot of time on the Ketogenicforums(where I told you I've seen you mentioned before), and whenever someone posts that they are stalled or gaining, everyone answers "eat more fat!". I'm like,what?!! How crazy is that?! I get beat over the head with my "off the wall" ideas but a lot of people say they make sense. I feel so strongly about it, especially as it applies to us older women, that I wrote a book (almost done!) and would like to use some of your blog post, and include your name and site if I could. The book, The Fat Whisperer, isn't a "this is the only way" typical diet book; but a primer that gives people the best LC choices at different levels of fat loss. And I have developed a formula for figuring out how much fat to include in your daily eating as well, which no one else has that I know of. Keep up your great work, woman! Feel free to use excerpts from any post on my blog, as long as there's a link back or some kind of attribution to me as the author. Good luck with your book! Hehheh...I'm a hugger, but only with people I know well. Then, I'll take all the hugs I can get! Its hard to know what to believe - there are so many different forums and groups out there. I spend a good deal of my time with new clients trying to de-program some of the myths they've read about. The thing is, like I told Deb here in the comments, every strategy works for *someone* out there, so it's not that very high fat (or whatever other strategy) isn't effective. But if it was working for *that* particular person, they wouldn't have written to me for help. ;-) I hope things go well for you! Don't worry too much about the exact numbers. If you're happy with your results and where you are, then it's a non-issue. Only something to think about if you're not getting the results you want. The thing I find a lot, and I commented in Tom's post, that there are so many zealots not matter what food camp you are in. Even between primal and paleo, when neither Robb Wolf nor Mark Sisson are full of this zeal, some people who follow their plans just ratchet it up too far and push it on every one else. ps. I am a Web Developer/Application Developer by trade. 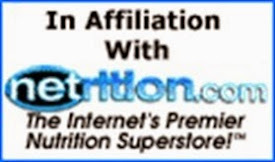 I will email your tuitnutrition address and we can discuss your site if you want. Hi Amy...This is the first of your posts I've read...I just discovered your blog. I love it! I'm a very short (under 5") woman in my early 70's. This is my second try at the ketogenic diet and both times when I began to go into ketosis my blood pressure went up.... way higher than usual. Has anyone else experienced this or even heard of it? Maybe I'm eating too much fat for my small frame? I need to lose about 25lbs. Hi there! Did you send me an email about this, too? I sent you a reply earlier this evening. If that wasn't you, let me know and I'll answer here instead -- or contact me through the form toward the right. For me, this is still an open question. I have lessened the amount of fat I've eaten (no more fat bombs), but then I don't get into ketosis. That may be because I've been low carb for almost 4 years. As an example, I fasted last week for about 40 hours, lifted weights at the gym, and then ate all meat (no vegies, condiments, anything other than two cups black coffee...all meat) during the day. The meat was low fat (relatively speaking). The next day, my ketones were 0.2 BOHB, which is out of ketosis. And this happens all the time. It seems to me that more fat = higher ketones. It also seems to me that higher protein = higher blood sugar levels in the morning, but that's difficult to tell. It also seems that more protein = more hunger, but that's also difficult to gauge. This is especially true, since I'm trying fast 2x40 hours and 1x24 hours per week. Personally, I do not eat canola or other seed oils that are relatively high in Omega 6. I make my own oil/vinegar or mayo, usually with EV olive oil. And I don't even trust olive oil, but I do like to have a salad or mayo sometimes. So, for me, would I benefit from higher fat and possibly higher ketones, lower insulin, and lower hunger; or lower fat, higher protein? I'm not sure. I guess it's also possible to lower just fat while keeping protein the same, but I'm near 100% carnivore/zero carb, so this is a bit of a challenge while eating basically meat. I have also found that fat fills me up. The fullest I've ever been is after eating a fatty meal, to the point where I could not eat at all for hours. That doesn't seem to happen with higher protein, lower fat meals. I'm hungry -- I just refuse to eat until dinner. This is only an issue if you feel a need to maintain a state of ketosis all the time. If not, then it really doesn't matter if eating more meat and less fat brings your ketones down. I write about this all the time. You do not need to be in ketosis to be running primarily on fat, and you don't need to be in ketosis to be fat adapted. Some people need constant ketosis for disease management, but this doesn't apply to many other people using keto for general health. But as always, do what's best for you. This idea about fat is wrong! The reason people do not loose weight is because everyone's metabolism differs by degrees and factors and the problem is misunderstanding what is occurring physiochemically. I am going to explain what is happening here to resolve the mystery! The number one reason people do not loose weight ("I am in ketosis but I am not loosing weight?") is NOT ENOUGH FAT or not enough protein OR TO MUCH PROTEIN (glucogenesis). You have to do some bench marking ( 3 or 4 oz. protein) with your physiochemistry by increasing or decreasing protein or ADDING MORE FAT (you need fat or your liver will do it for you in the form of cholesterol and you will not lose weight or see changes in body composition). Another reason could be a very alkaline (i.e. gerd, heart burn, acid reflux etc.) stomach (not acidic) as stomach acids decrease with age and prevent the breakdown of nutrients (especially food laced with preservatives, pesticides, non organic, genetically modified foods) and you may want to add hydrochloric acid pills with pepsin (always take right after eating protein and not without eating protein), amylase, lipase and bromelain to your regimen or ibid. 1 table spoon of organic apples cider vinegar and one table spoon of organic lemon juice to a glass of water once a day which usually does the trick and prevents gallstones and kidney stones (calcium oxalate)also besides many other benefits e.g. increasing human growth hormone during the delta phase of sleep which is the most important fat burning hormones known to science besides DHEA. DO NOT TRY TO DECREASE FAT (stay away from exogenic sugar as much as practically possible) YOU WILL DAMAGE YOUR METABOLISM EXOGENICALLY AND CAUSE PERMANENT ENDOGENIC DAMAGE AND IF YOU DECIDE TO GO BACK TO EATING AS YOU WERE BEFORE YOU MAY DOUBLE YOUR WEIGHT GAIN! Ketosis is a way of life not a temporary fad diet! Thanks for this post. I have been thinking about it for two weeks now. I have been off and on low carb?Paleo for about two years--mostly because I couldn't seem to stay away from sugar for longer than a few months. I finally kicked the sugar habit nearly 7 months ago. I have PCOS, insulin resistance, borderline diabetic and all of that was my reason. I have been eating strict keto for 7 months now. I lost 40 pounds but while I lost 20 pounds the first few weeks, the last 20 pounds has been slow. And I have 150 pounds to lose. I eat in 16:8 intermittent fasting window. I added in 15 minutes of weight lifting 2-3 times a week. I walk 30 minutes every day. I don't do dairy or nuts. I feel like it has to be the fat. I watch my carbs and don't do more than 20 grams of total carbs a day. Because of the Rosedale talk I have been very cautious about my protein and have been doing 70-90grams a day but from what you said, I should be able to increase my protein. My fat has been 70% of my diet (and I so get your mayo comment! love the stuff). So, if I just cut my added fat and keep eating eggs and fattier cuts of grass-fed beef, lamb, pastured chicken and keep my green, non-starchy veggies at or under 20 total grams of carbs, then dialing back on the added fat will be my next experiment. I really would like to speed up the weight loss since there is so much to lose. Anyway, I really appreciated your thinking on this topic. I especially appreciate your view as a woman who has done keto and low carb! Thanks, Eden! Glad it's helpful. 70-90 grams of protein is actually pretty good compared to what I hear from other women sometimes. You could probably go up to more like 100-110, though. Thanks for writing your blog. This is my first time seeing it. It was great. I am semi new to keto. I have lost 180 pounds. The first 120 was following a weight watchers type (anything goes as long as my calories are right) mentality. Then I started to regain. The idea of adding more fat seemed crazy to me, however, I spent the last week adding back in good fats (avocado, real butter etc). I have pretty much lost my sugar cravings, and feel full most of the time. What do you tell your clients.... I was snacking on cucumbers/celery...and realized...I was over the 20 grams of carbs real quick. How much protein are you eating? the point is that if you want to reduce your body fat you should reduce your fat intake, but you should be eating enought calories to avoid entering into starvation mode and reduce your metabolism. Am I right? I'd like to ask Amy your same question. "the point is that if you want to reduce your body fat you should reduce your fat intake, but you should be eating enought calories to avoid entering into starvation mode and reduce your metabolism. Am I right?" Hi there, yes, I would say this is correct, but to be completely honest, I think fears of "starvation mode" are overblown, especially if you have a fair amount of weight to lose. I can't imagine anyone's metabolism slowing down all that much when they have plenty of stored energy all over their body. I would guess it's a bigger factor for people who are already at a relatively "normal" body weight. Maybe not their ideal weight, and maybe they're not super-lean, but if they don't have a large amount of body fat to draw on, then yes, I can see metabolism potentially slowing down as a protective mechanism. This post was definitely not intended to make anyone afraid of fat, or make them think they should adopt a very low calorie diet. This was written specifically for people (mostly heavier people, which I should have specified) who are struggling to lose body fat, when they actually *have* a good deal of fat to lose. You can still eat a high fat diet, by percentage and by total grams/calories, even when you cut some out from your diet -- in particular, the liquid calories from fatty coffees. Some people also go overboard on added oils, mayonnaise, cheese, and nuts. It *is* possibly to consume too much fat on keto when you're having a hard time losing body fat, but that only means you should cut back somewhat on the added fats you're using. No need to avoid fatty meats, egg yolks, fatty pork chops, etc. It's usually the added & isolated fats & oils that get in people's way. Thank you for all your insightful advice. I'm learning. My situation is I want to lose 20 lbs and I'm following a strict keto diet - under 20 carbs, high protein, even higher fats. no fat bombs and no artificial sweateners. I've only lost 5 lbs in 5 weeks. i try to track macros but don't reach my goals. even if I eat breakfast lunch and dinner or eggs bacon, chicken, salad, pork chop and veges for dinner. I am not hungry to eat anything else! I'm barely getting to 1000 caleries. today I only got to 57 grams protein, for instance. and I do drink the bullet coffee to get those fats in. I'm 51, starting weight 145, goal 130. I've been told I wasn't eating enough! I'm moving around all day, walking dogs, gardening, etc. no strength training. any advice for me. But yeah: the whole point of this post was that, if you are having a hard time with fat loss, specifically, then it's not the best idea to be guzzling liquid fat. Don't be afraid of protein or getting "kicked out of ketosis." Burning fat and being in ketosis are not the same things. Also: Please assess yourself and be sure that your goal weight is realistic. I don't know how tall you are, so I don't know if 130 is a reasonable goal for you. You're also 51...hormones could be getting wacky, making fat loss more difficult. Just came across your posts. Was doing keto and not losing. Hard time losing on really any diet... even if doing an hour of cardio a day! Had thyroid checked and it was the low end of normal. I believe beginning menopause as well. When reading up on “normal” thyroid levels; I’ve found that so-called normal levels can be different for everyone. You mentioned dealing with similar issues...? What suggestions can you offer? I have a multi-part series on thyroid starting next week. This is a very big issue, and under-recognized when people are struggling with fat loss. So you can wait for me to post the post, or feel free to email me privately and I can give you more detailed information. You can use the "contact me" button on my website. If your thyroid function is not optimal, you will definitely struggle to lose fat even with a good diet and exercise. Amy, great post. I came across it a week ago, as I have been struggling (getting really annoyed?) with a 2-month hard stall. In my 50s, lazy paleo for 6 years with some "breaks" along the way, and doing this Keto thing for a month. I track everything to the gram, and carefully create a reasonable (up to 500 cal/day) deficit, while hitting the macros. Lifting weights, and have re-introduced HIIT cardio a few days a week. I've never had a stall like this in my life. Gah! Anyway, your post really made sense...limit the dietary fat to force my body to access stored fat instead. The question I'm struggling with now is...how much fat? If I map out calories and macros, I limit carbs (nearly exclusively from veggies) to 30g; and Protein to 125g. That's 720 calories. That leaves 1080 calories to get to my goal of 1800 cal/day. (I have carefully calculated by TDEE at a conservative number of 2600/day). So to meet my caloric goal, fat would be 120 grams/fat, and macros of 60%F/33%P/6%C. So...being stalled, it makes sense to me to limit the fat to force my body to get more of those 1080 fat calories from stored rather than dietary fat. Let's say I cut the dietary fat in half. 510 calories, 57 grams less. So now my daily caloric intake is about 1300 rather than 1800--way too low according to most everything I've read, with a huge deficit. (I'm 217 lbs right now, 6-2. Wanting to get under 200.) So, to make some of that difference, add more protein. I guess my question is...and I know there isn't a hard and fast answer: How much fat to cut? In the past week, I've been finding myself demonizing dietary fat...looking at a tablespoon of Olive Oil, or a pat of butter, or a chicken thigh with the skin on it...and telling myself, don't eat it! Let my body get it from stored fat instead. It's actually starting to give me a phobic relationship with dietary fat! EAT MORE PROTEIN!! You could easily increase from 125g. Thanks Amy. I will try that calculator. And take to heart the idea that the dietary fat macro is a LIMIT and not a goal, and do some experimenting with *less* fat but using protein to be sure I'm getting to a reasonable calorie intake. Thank you for your article. It helps me resolve my misgivings about eating more fats than I want to on Keto. I completely understand the intake of proteins, especially since I work out, and want to protect my muscle mass. I completely understand why I need to cut carbs, in order to cause the body to look to fat for energy. I have not been having a hard time eating less than 30 carbs a day. I just haven't really understood the need to eat more fat than protein. You've addressed this in a sensible way, in my mind. I don't want my body looking for the fat I just digested for the manufacture of ketones. I want my body to look to my existing body fat for the fuel for ketosis. So, for me, while I have increased my normal intake of fat, I'm not going to stress about not eating more fat than protein. Your article has helped to reinforce my own intuition regarding this matter. Thank you. OMG!!! I have no idea who who are, but I love everything you are saying! I'm on week 3 of my Keto diet. I've lost 6 pounds and I feel great. I'm loving that I don't feel hungry, BUT I'm finding that I'm choking down food when I'm not hungry just to meet my macros. I knew in my head that this was crazy, so I been trying to research what to do. I want my body to burn the fat it has!! Breakfast never sounds good until about 9:30 am, so I've been basically fasting until about 11am. I feel good with eating just two really good meals a day. Is that doable with upping my protein and cutting back my fat with just two meals a day or should I add in breakfast? I'm also doing Beachbody 80-day Obsession. How many grams of protein do you think I need? I'm 50, 5'3" 137 pounds. I'm keeping my carbs at 25g a day. Thank you! You have a new fan! DO NOT FORCE YOURSELF TO EAT if you're not hungry. No, no, no! There is not such thing as "hitting a macro." You DO NOT NEED TO guzzle down fat in order to reach some specific percentage or total grams of fat. If anything, the most important thing is to eat enough protein. DON'T BE AFRAID OF PROTEIN! You could probably do at least 80g protein, if not more like 100-110g, and go a little easier on the fat. Don't be worried about percentages. And don't obsess about numbers anyway. The most important thing is keeping carbs very low, not gorging on fat and being scared of protein. Two meals a day is fine. Great suggestion on the keto diet, all the suggestions that you have been mentioned through all the facts is quite appreciable.Although if you wants to cut fat through the LCHF diet then you must concentrate on macros nutrients.Eater a lower range must have a stunning effecting in fat burning.keep sharing and updating more about the relevant task.I read all the tips and I use Weight Loss Calculator to know more about the calories deficit. As a student who plans to study food and nutrition, this blog is a god send. I would post this in reddit/keto, but then I would be hit with hateful posts full of "FAT IS GOOD AND YOU SHOULD EAT MORE!" fallacy. I started keto a year ago, and this is exactly what i have been doing! Low carb AND minimum fat. Result: 100 lb lost in a year. Nice! The truth is, some people do seem to do just fine with a very high fat intake and slightly lower protein, but most of the clients who come to me struggling to lose body fat are eating excessive amounts of fat at the expense of adequate protein. I see this very frequently. Someone did a real disservice to the keto movement when they started making everyone afraid of consuming even adequate amounts of protein. When I started keto, people told me that I am not eating "enough fat" because my fat ratio was only like 56% with 69% deficit. It baffled me that they put butter or coconut oil in their coffee and eat fatty food without guilt, but when I pointed it out, I only got defensive responses. By the way, what happens to the excess protein? You wrote that excess protein doesn't lead to GNG increase. I also read from NCBI that protein metabolism is kinda of "expensive", meaning that it requires more energy than other metabolisms. Does extra amino acide convert to fat? I think it depends on what you mean by "excess." I honestly don't know the answer for certain, but I would think that "excess" amounts of anything, above the body's energetic needs, can be stored as fat. However, it's my understanding that that biochemical process by which protein would end up as triglyceride (fat) is very energetically costly and "unfavorable," and it generally doesn't happen to any great extent. What would likely happen is that the carbon skeletons of the amino acids would be converted into Krebs cycle intermediates and essentially be "oxidized" or burned for fuel. 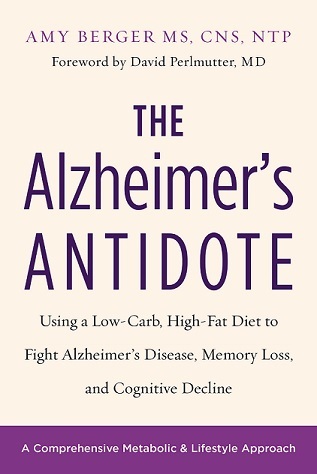 In this scenario, since the amino acid carbon skeletons are being oxidized, the body has less need to oxidize fats, so the incoming fat would be more likely to be stored, rather than the protein it comes along with. Honestly, though, this is kind of a moot point, because "excess" is a very vague term with regard to protein. I see far more people consuming to little protein, as opposed to too much. (And "too much" protein, if you ask Dr. Ted Naiman, isn't even really a thing.) If you're getting protein primarily from real foods (eggs, meat, seafood, dairy, poultry, etc) I would say it's darn near impossible to consume "too much." (Might be easier if you're chugging protein shakes all day.) Eating anything in excess of the body's needs would theoretically lead to fat storage, but as I said, in the case of eating "a lot" of protein, I would think it's actually the fat that comes with it that would be stored more readily than the amino acids being converted to fat. Even in the case of fat storage, that’s what adipose tissue is for: to be a storage site for energy. This is what your body “eats” when you’re not eating. Something being stored as fat doesn’t mean it’s always going to *stay* stored and never come out to be burned. 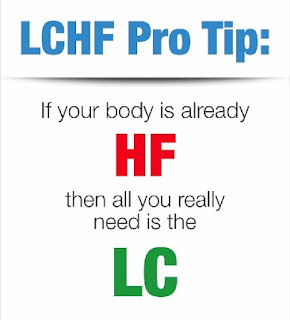 Just stay low carb, keep insulin pulsatile, and those triglycerides are easily released from the fat stores to be burned, the way nature intended. Hi there, just a quick one, if I cut my fats, what do I replace the calories with, as I’m already on 1500-1800 calories just now. That’s 150g protein, 30g carbs, 120g fats, if I cut fats my calories are to low right? You don't replace it with anything. That's the point -- if you are having a hard time losing body fat on keto, one reason might be that you're overdoing dietary fat, resulting in an energy/calorie surplus. So you don't replace it with anything. But, not knowing anything about you, your situation, and your goals, I cannot comment further. I don't know how much you weigh, your gender, your medical history, etc. So I can't give you any personalized recommendations without knowing more. This explains why I was losing more weight when I started in January. At that time I was just doing low carb then I changed to keto and started adding fats. I'm going back to just low carb. Thanks! I'm so happy I came across this article/website! I've been racking my brain for about 2 weeks now on adjusting my fat limit to a lower amount and this made me go all in 100%. I do however have a question. I powerlift 3x a week with cardio, and the other 2 days, i just do regular compound exercises. For this much stress being put on my muscles, is there a certain amount of protein I SHOULD eat? My calculations tell me about 100g or protein for the day, with 126g of fat, and 20g net carbs. I'm doing my best to maintain the muscle I've already built, while losing the body fat I need to drop. I'm 5'4", 28 years old, and 177 (down 20lbs for the first 10 weeks of keto). Would this be a good amount for my body to take in so I can not only maintain muscle, but build on it as well as torch the body fat? Generally speaking, when you read the FULL TEXT of these kinds of studies, rather than just the abstracts, or how they’re reported by the media (including Science Daily), they turn out to be the weakest, most horrible, abject GARBAGE masquerading as “science,” and the researchers should be ashamed of themselves, second only to the reporters who create sensationalist and MIDLEADING clickbait headlines to either scare or entice the public. It’s a cesspool out there, frankly. You really have to read (and *understand*) the full text. You cannot – can NOT – take these kinds of things at face value. Thanks Amy, I think all of this article is on point. I have been doing Keto since April 2018 and have lost 44 Lbs. (I am a woman at 5'5 and 55yrs. ), all at the expense of my muscle being lost as well. Unfortunately I was using a Macro calculator that had my protein at 50g/day or less, and my calories about 1000 per day, 20 net carbs all from non-starchy veg, and trying to add fat to everything but still keeping calories low was such a difficult task. I felt it was low all along for calories and protein, but I persisted through all of the interrupted sleep and excessive night thirst, leg cramps. Quite a lot of my hair fell out and now I have a lot of loose skin. But I have lost all the weight I need to! I just want to let other people know if you have these symptoms you NEED MORE PROTEIN. Switch to the macro calculator she recommends. I have recently started adding in more calories now at 1400 or more, and Protein up to 80g day sometimes 100g. I feel so much better and have not gained any weight not starving, in fact am trying to maintain, and it is actually harder for me. Oh my goodness...sorry you went through that. Great that you lost weight, but that isn't the way you would have wanted to go about it. This is such a problem in the keto world now. This fearmongering around protein is entirely new and entirely unnecessary. In the past, low carb diets were never about limiting protein, and they don't need to be now -- *especially* when the goal is fat loss. This is an eye opening article, yet so obvious to some extent. I credit Carnivore Aurelius for turning me to you when he tweeted on the 25th about your Personal Fat Threshold. One question: Are you suggesting here a Protein-Sparing Modified Fast type of diet until one reaches target waist circumference? Thank you. I think the PSMF is very extreme and is not intended for long-term use. I would recommend a PSMF only in cases where someone seems to be doing everything right on a "regular" low carb or ketogenic diet and isn't getting the kind of fat loss they're hoping for, or for someone who, for some reason, wants/needs to get body fat off *quickly* -- with the understanding that the PSMF is intended as a *short-term* thing. For the specific purpose of fat loss, most people can benefit from increasing protein and decreasing fat a little bit if they're already low carb, but they don't need to get down to the crazy low levels of fat intake and total caloric intake that a PSMF typically calls for.